How is Appirio offering Google Sites? 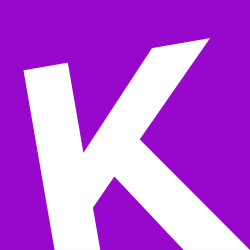 Appirio has partnered with Kirksville Web Design for a number of Google Sites projects, ranging from Corporate Intranet design to POC (Proof of Concept) demo sites. In addition, we’ve been working on solutions to assist customers with moving away from heavy, premised-based intranet systems (like SharePoint) by leveraging the Google Enterprise suite focused on a combination of Google Sites and Google Drive capabilities. 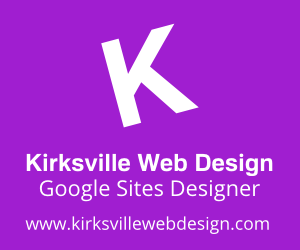 The designers at Kirksville Web Design are able to deliver an exciting product that fits within the frameworks of Google Sites. Can you describe some of your Sites projects? What were the results? In our work with a large, multi-national pharmaceutical organization, we partnered with Kirksville to provide a revamp of their Google Apps launch site. The site was a rebuild/rethink away from their legacy delivery framework. In less than five weeks, we were able to provide the design, corrections and launch with no additional purchases of hardware or software. How can organizations make the most of Sites? When you have already invested in Google Apps for your business, it makes sense to explore the abilities of Google Sites to enhance (and possible replace) existing, expensive systems and infrastructure. Google Sites is already part of the enterprise suite that you can access with your Google Apps license and is completely integrated into the Google Apps framework. Where would you like to see Sites head in the next couple years? It would be great to see Sites continue to provide framework enhancements building on what’s already available, especially around Google Drive and the requirements for enterprise level CMS (Content Management Systems). Also, a continued focus on specialized mobile access controls. What else does Appirio offer? Appirio is a global services provider who uses crowdsourcing and cloud, social and mobile technology to help enterprises reimagine their business and become more agile. Appirio brings together technology expertise with a deep understanding of the way people work, and the development, design and analytics skills of a 600,000 person global crowdsourcing community.